Spray foam forms a seamless bond with whatever substrate it’s applied to, regardless of whether the substrate is oriented vertically, like wall assemblies, or horizontally, like roof decking. 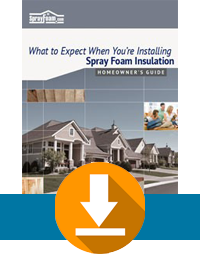 In fact, spray foam has been used for several decades as a durable roofing material. Because of the foam’s low density, compared to other roofing materials, it adds little additional weight to the roof, and is often used in remedial applications. Additionally, an SPF roof provides a structure with excellent insulation value, which will almost always be evident in subsequent utility bills.